Employment of automotive service technicians and mechanics is projected to grow 6% from 2016 to 2026. The Automotive Service I Proficiency Certificate is designed for individuals who are interested in entering the field of automotive technology with a basic set of core skills. 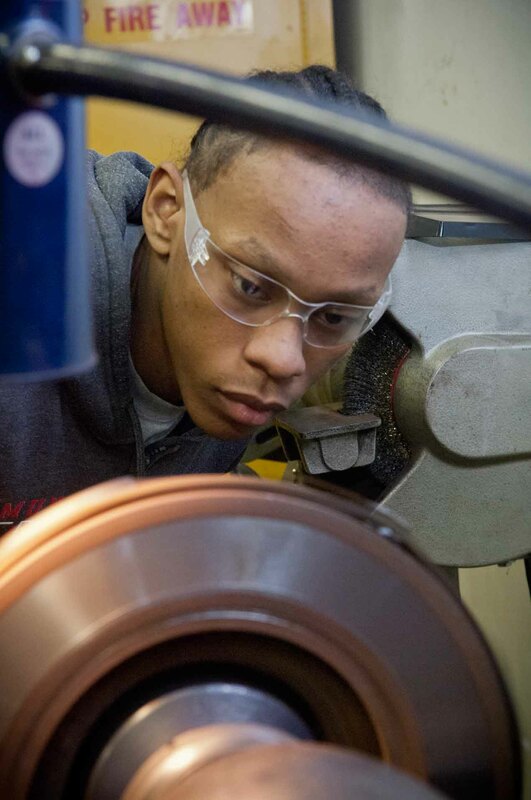 Students who complete the Proficiency Certificate will be prepared to obtain employment in a small shop, dealership, or franchise-based repair facility. When completed, the courses may be applied towards the Automotive Technology Associate in Applied Science Degree. **EMSI Data, 2017; Philadelphia, Camden, Wilmington Metropolitan Statistical Area; a percentage of people in these jobs may have a bachelor's degree or higher. The following courses and sequence of courses is designed for the optimal success and completion of the Automotive Service I Proficiency Certificate degree/certificate. Any alterations should be discussed with your academic advisor. New workers generally start around $23,782. Normal pay for Automotive Specialty Technicians is $40,566 per year, while highly experienced workers can earn as much as $65,252.